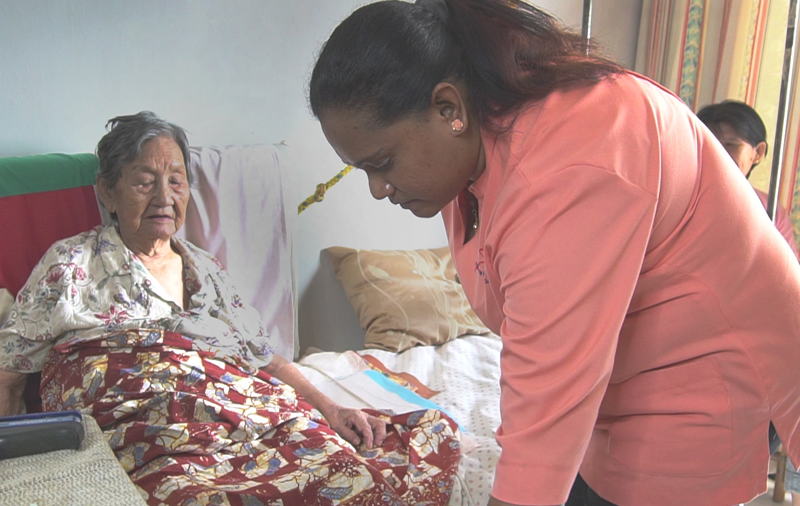 Since March 1992 hospice care has been given in the homes of patients who were being looked after by their families. Persons coming from many walks of life do have talents and experiences that can help us continue this community service. Here are some of the ways you can help. 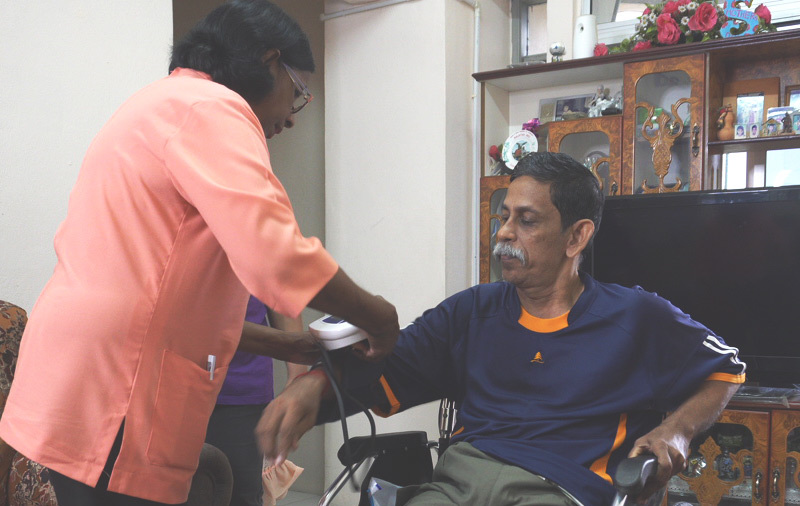 The Penang Hospice Society, as a charity, relies heavily on voluntary support. Read our Annual review to learn more about how we are funded. What is Hospice or Palliative Care? In fact Hospice care or palliative care is just good medical care which can be offered early in the course of illness (cancer or non-cancer), in conjunction with other therapies where the aims are to cure or control the illness. Complex needs Inpatient hospice – when symptom control (e.g. peritoneal or abdominal tap, IV antibiotics/fluids) cannot be done at home. More complex needs Acute care hospitals eg palliative radio therapy or chemotherapy, neuro-surgical pain relief. Care delivery system requirements to be noted here are that care is seamless, site of care is based on need and can fluctuate and an important factor for quality care is co-ordinated care. Mostly cancers (who are not cured) characterized by short years of stability and then a rapid decline to end of life. Mostly non – communicable diseases such as heart and lung where the decline is over years with occasional exacerbation. Mostly the frail (usually with ageing) and dementia where the decline is gradual over years with progressive dependence. The need for holistic or whole person medical care often arises in the course of many diseases, for instance cancer. 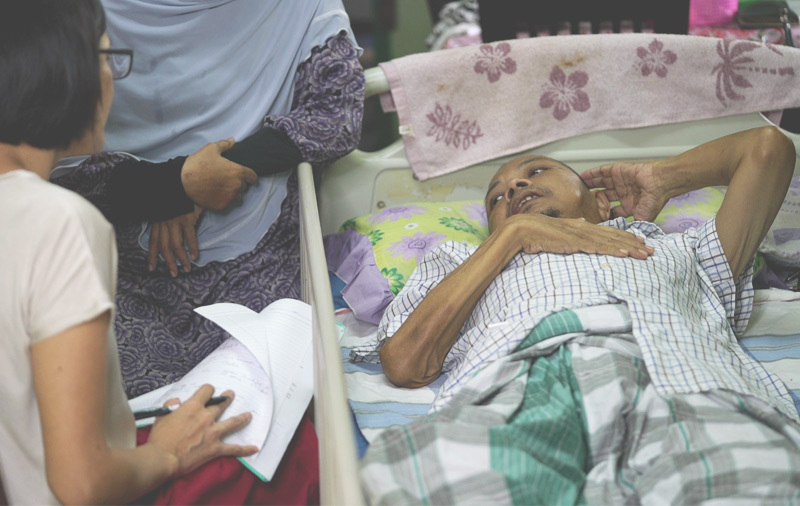 Annually about 40,000 people in Malaysia are found to have cancer where up to 60% have advanced, often incurable cancer. Many others have chronic life limiting diseases of the heart, lung, kidney or nervous system. For children it can be congenital or chronic disorders. Both group of patients will have similar problems – physical, psychological, social or spiritual – that are distressing and diminishes their quality of life. These problems can be addressed and reduced. It may be ironic that along with the increasing life span of humans globally there is also a growing need for care, especially long term care. Current models of care delivery have to change to deal with this challenge.